Book/DVD Signing This Saturday In Burbank, CA! 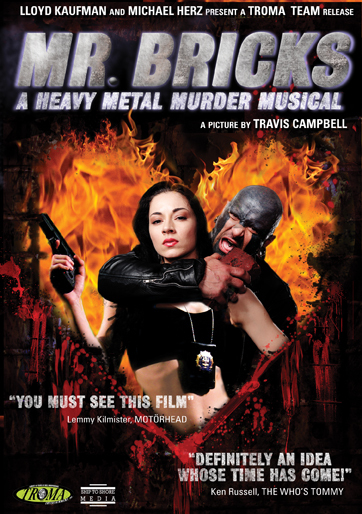 LLoyd will appear at Dark Delicacies book store at 3512 W. Magnolia in Burbank, CA, at 2pm on Saturday, December 8th to sign copies of Troma’s latest DVD releases Mr. Bricks: A Heavy Metal Murder Musical and Hemo, along with his latest book, Sell Your Own Damn Movie! Kaufman will be joined by tattooed muscleman Tim Dax, star of Mr. Bricks, along with Toxie and the world-famous Tromettes! 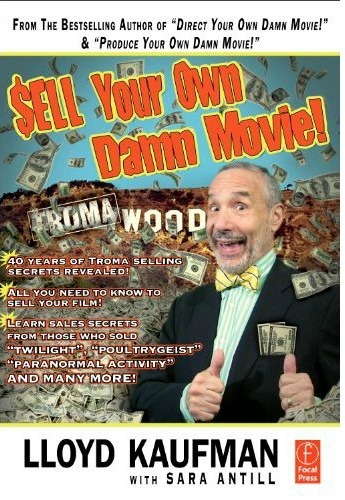 Unlike other celebrities, Kaufman and the Troma stars do not charge for their autographs and will sign any Troma merchandise for free. Visit www.darkdel.com, call 1-818-556-6660, or email darkdel@darkdel.com for more info! 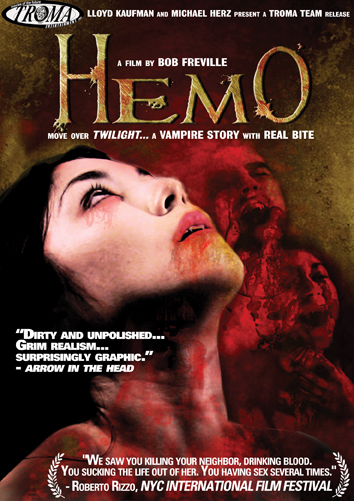 Bob Freville’s Hemo, Troma’s answer to the Twilight series, which Kotori magazine has hailed as a “masterpiece of drug cinema,” stars Pamela Price as Felicia, who, along with her boyfriend Calvin, is a vampire living in post-Gatsby Long Island. Their method of obtaining their drug of choice is compromised when the local blood bank beefs up security, and they must resort to murder to get their fix. In Kaufman’s latest book Sell Your Own Damn Movie!, available from Focal Press, he reveals 40 years’ worth of film-selling techniques. Chock-full of crucial and handy information, the book contains everything you need to get your finished film seen by festival-goers, movie-goers, DVD-buyers, and web-goers around the world. From the realities of distribution, to utilizing the internet, to self-distribution, Kaufman divulges the secrets to one of the most difficult challenges a filmmakers faces: selling your own damn movie. This entry was posted on Wednesday, December 5th, 2012 at 11:14 am	and is filed under Events, News. You can follow any responses to this entry through the RSS 2.0 feed. You can leave a response, or trackback from your own site. You are here : Home » news » 2012 » 12 » 05 » Book/DVD Signing This Saturday In Burbank, CA!